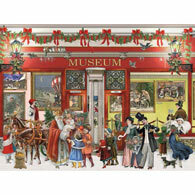 Christmas Town is a 500 piece jigsaw puzzle designed by artist Barbara Behr. The town is full of activity on this holiday evening. 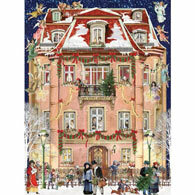 Hot air balloons rise in the sky, children visit Saint Nickolas, sing carols and make a snowman in the village square. Available in two piece counts.